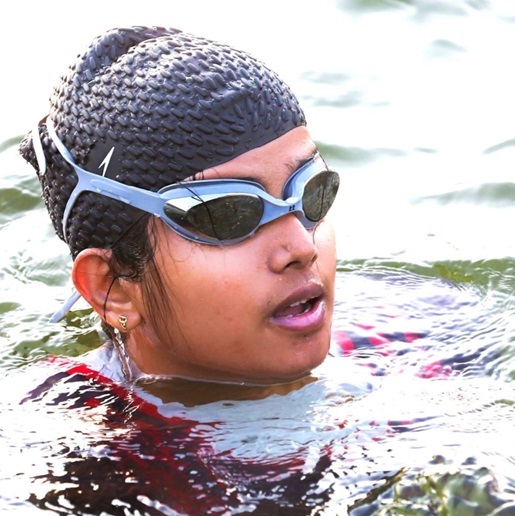 One among the many activities that the Chennai Trekking Club organizes on a regular basis, the open-water swimming camp in Ottiyambakkam has garnered an almost cult-like following in the last one year. This camp is held every Tuesday and Thursday mornings at 6 to 7:30 a.m., and sometimes during weekends. Accustomed to seeing beauty and utility in unlikely places, Peter Van Geit and the group make use of an abandoned quarry, which is now filled with rainwater, and turn it into a safe space for beginners/non-swimmers to improve their swimming skills. Tharini Raj is one of the many for whom this place holds an almost spiritual significance. A postgraduate student at IIT-Madras, Tharini has been an active member of the CTC family for over a year now. She is a frequent participant in beach clean-ups, tree-walks, and cycling and trekking events. One of her biggest achievements, however, remains overcoming her fear of water and successfully completing a triathlon (a long distance race that require athletes to swim, cycle and run). Did she know how to swim before she joined CTC, I asked. “No way. I was terrified of water; used to run away from water bodies,” she said. However, always eager to push her own comfort zone, Tharini wished to conquer her fear of water. She joined the Ottiyambakkam swimming camp in March 2015. In August 2015, she not only participated in a sprint triathlon (750 m swim¬¬––20 km cycle––5 km run) organized by CTC, but managed to successfully complete it as well. The Ottiyambakkam swimming camp was started in December 2014, with the objective of offering a chance to CTC Iron Triathlon (which usually takes place in March) aspirants to improve their swimming skills. Since then, the place has become a haven for swimmers and non-swimmers alike. Peter and other expert swimmers monitor the practice sessions and offer constructive feedback for those who attend the camp. I asked Tharini to describe one of the early-morning sessions. “Come for one of the sessions yourself and the words will flow,” she said, “It’s an emotion that can only be felt at Ottiyambakkam. I worship that place.” A week later, in the wee hours of a Thursday morning, I found myself at Ottiyambakkam, ready to be a part of the swimming camp that I had heard so much about. As cars and bikes started lining up, the quarry was soon transformed; the safety ropes were hung in place, and floating tubes could be seen everywhere. Everyone started descending into the quarry. The water was still and opaque. I stuck to one end, hanging onto the safety ropes, too scared to let go. I saw Tharini wading her way into the water. She was hesitant at first, sticking by the ropes for a while. But slowly she gathered momentum and confidence, and was soon swimming across the width of the quarry. I marvelled at her courage and the progress she had made over the course of past one year. From being a non-swimmer terrified of water, to being a triathlon-finisher, swimming in open water that was easily 30 meters deep, she had come a long way. At the camp, Peter and others have created an atmosphere that is safe and fun at the same time. At the session I attended, there were around 30 people in all, supporting each other, keeping an eye on the non-swimmers, shouting out words of encouragements. They cheered on the newbies, giving insights into correct techniques, and encouraging them to let go of the rope. Does she have anything to say to those who might want to come to these sessions? “Yes, I know it is a long distance to travel and the thought of open waters is frightening. But at the end of a session, it is all worth it. It’s a great way to kick off your day,” she said, before adding, “Just turn up once. 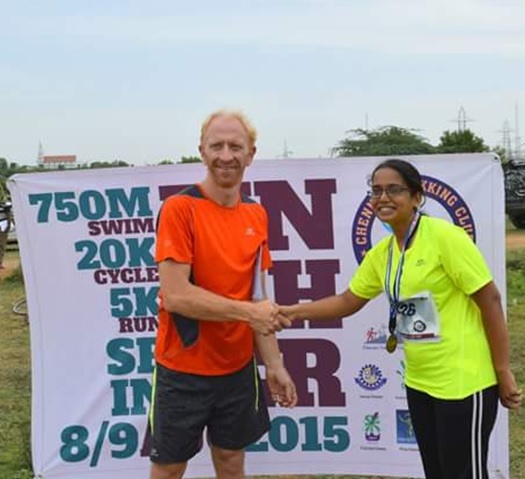 The dedication and enthusiasm to come for every session thereafter will follow automatically.” Tharini Raj is now training to participate in the Olympic triathlon to be held in August 2016. She epitomizes the quintessential CTC member, quietly challenging themselves, braving their fears every day, and striving to become a more aware and evolved version of themselves. Kavya Sharma is an Editor at Oxford University Press India. 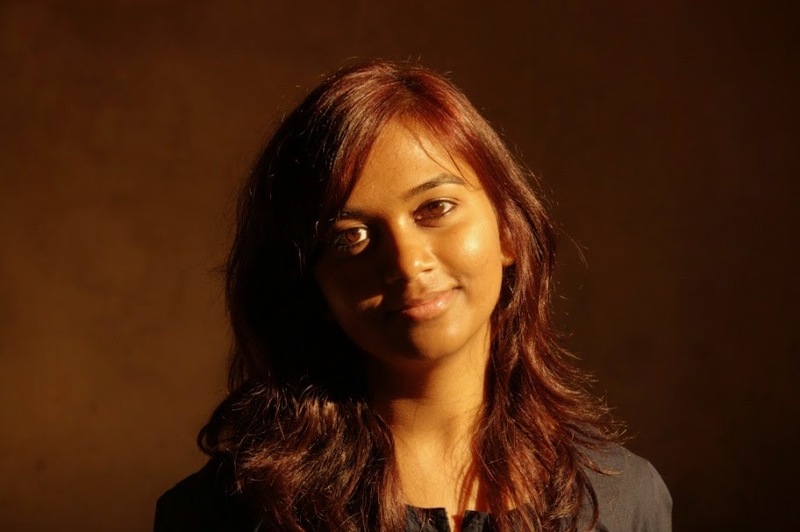 Originally from Delhi, she moved to Chennai in 2014. Her interests include books, travel, nature, pop culture and non-profit initiatives.